The meeting took place on Friday the 27th of April 2018 at le Gray Hotel. Several interesting topics were discussed by leading national and international gastroenterologists and IBD specialists including Peter Irving and Geert D’Haens. 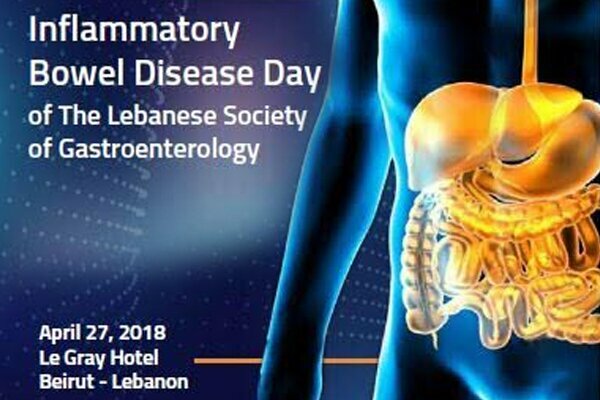 Topics discussed included genetics in IBD, current appropriate use of mesalamine and corticosteroids, immunomodulators in IBD, optimal management of moderate to severe Crohn’s disease. Also discussed were the role of therapeutic drug monitoring in the management of IBD, optimizing current therapy in IBD management, prevention and identification of infectious complications in IBD patients, use of biomarkers in IBD and maximizing outcomes in IBD treatment. And finally, the last session included fistulizing and perianal Crohn’s disease, management of abdominal abscesses, malignancies in IBD and managing IBD therapies in pregnancy and postpartum.